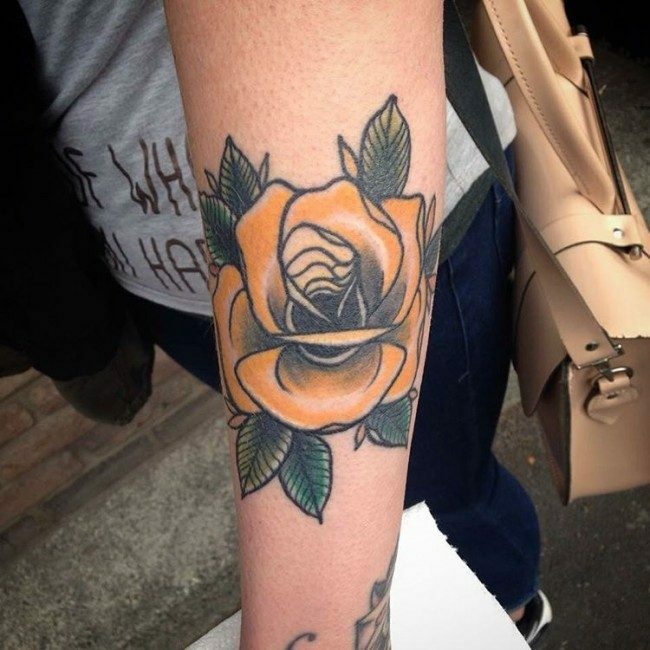 Rose tattoo is the latest fashion among the tattoo designs for men and women, but it has a deep-seated symbolic meaning too, which enhances its value to a great extent, besides its aesthetic appearance. 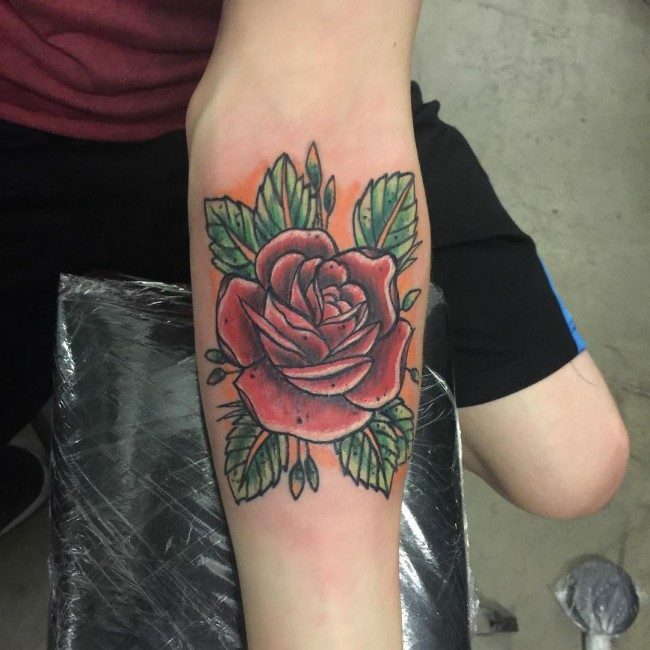 The rose is regarded as one of the most beautiful flowers created by nature and has always been revered by mankind as a symbol of love, peace, admiration, friendship, passion and beauty. They have been very popular to a lot of people in the entire world not only these days, but also in the past years. 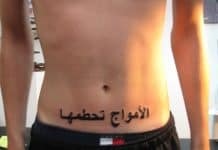 Yes, these tattoos were also greatly used in the past for a lot of cultures in the world. 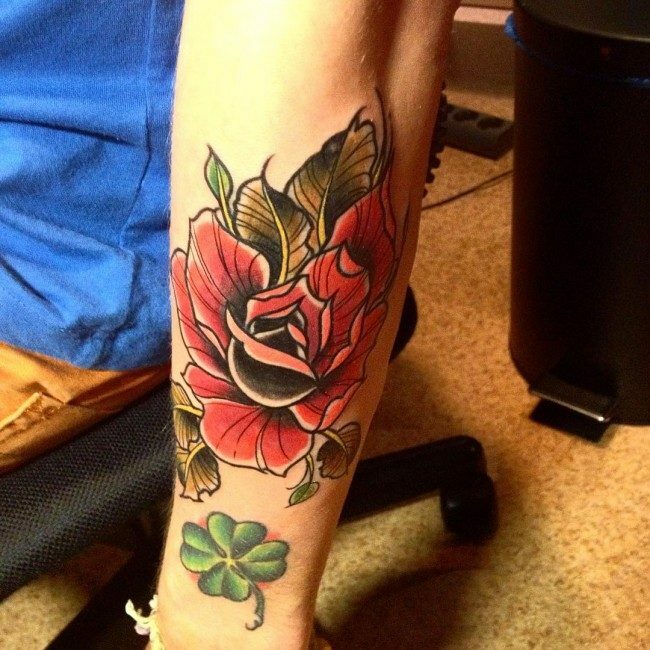 Rose flower tattoos signify a lot to the ancient people. This was the main reason why people before, specially the tribe leaders, had a lot of tattoos on their body like rose designed tattoos. 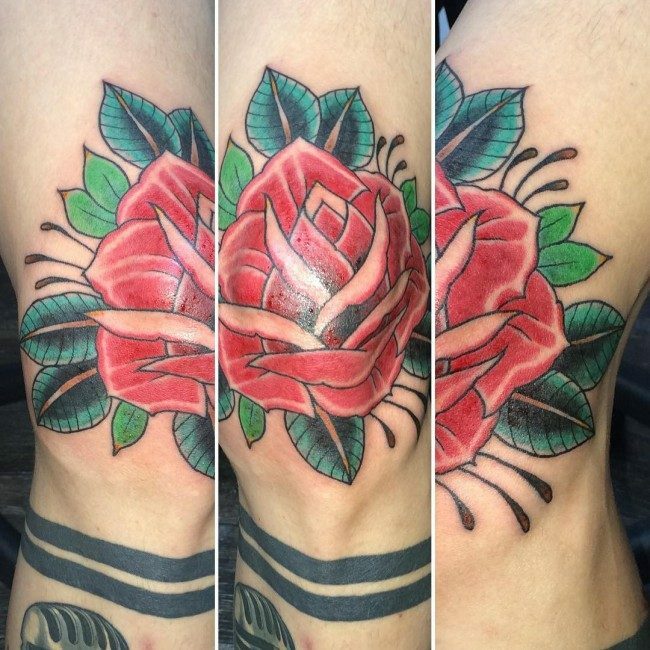 On the other hand, the number of people who want to have these rose flower tattoos is really increasing day by day. 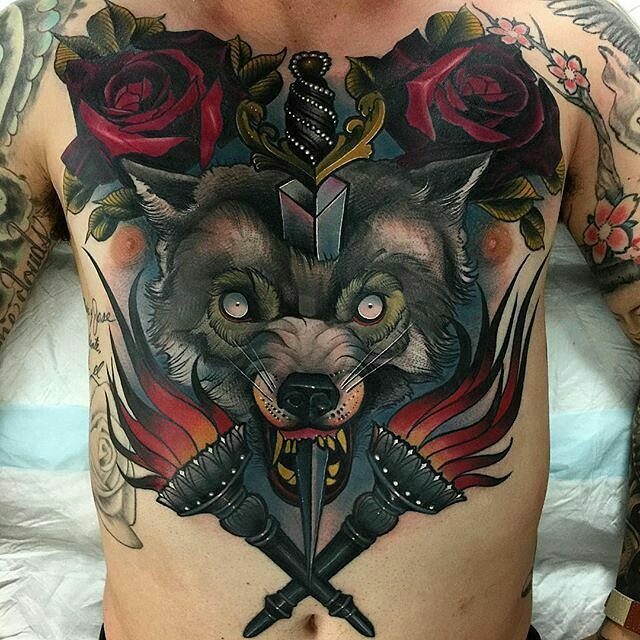 Most of them want these tattoos just to enhance their own fashion statements. 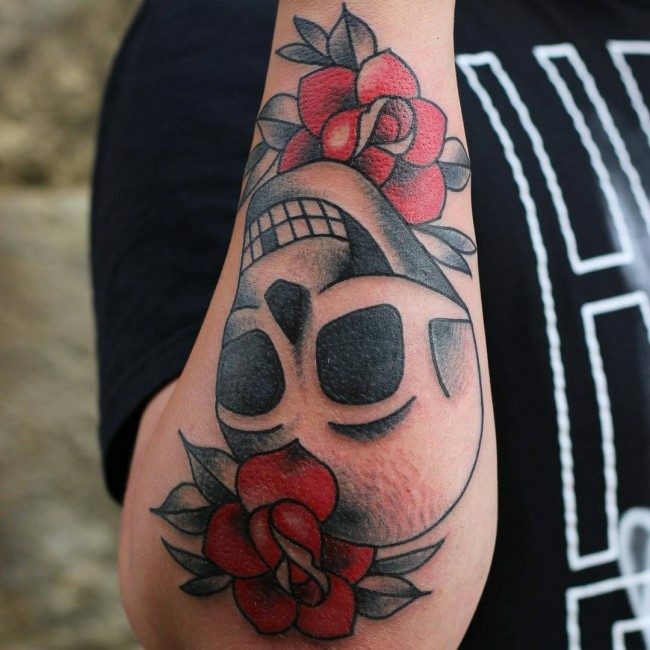 However, there are some of them who wear these tattoos in order to show what kind of personality they have got to the people surrounding them. 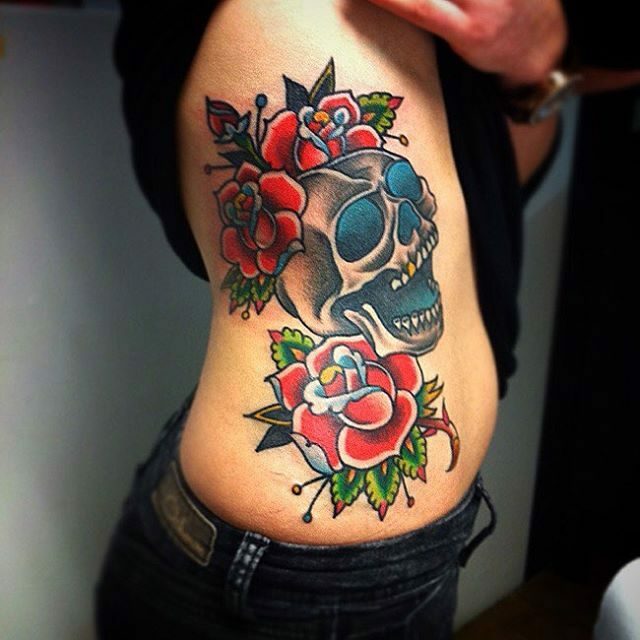 Even though there are still many people in the world today who consider tattooing as a bad thing, this does not stop those tattoo lovers people from getting tattooed since they believe that this is the best way to express themselves. 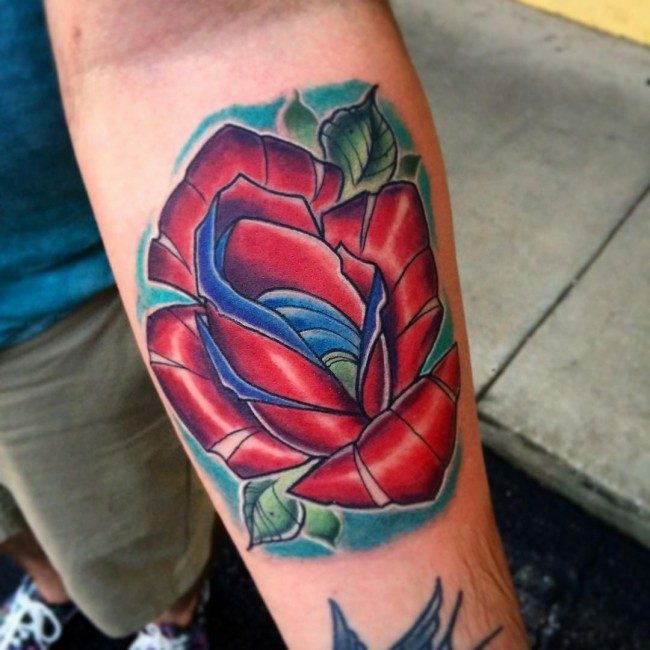 If you wish to learn more about rose design tattoos, then let’s dig so much deeper. 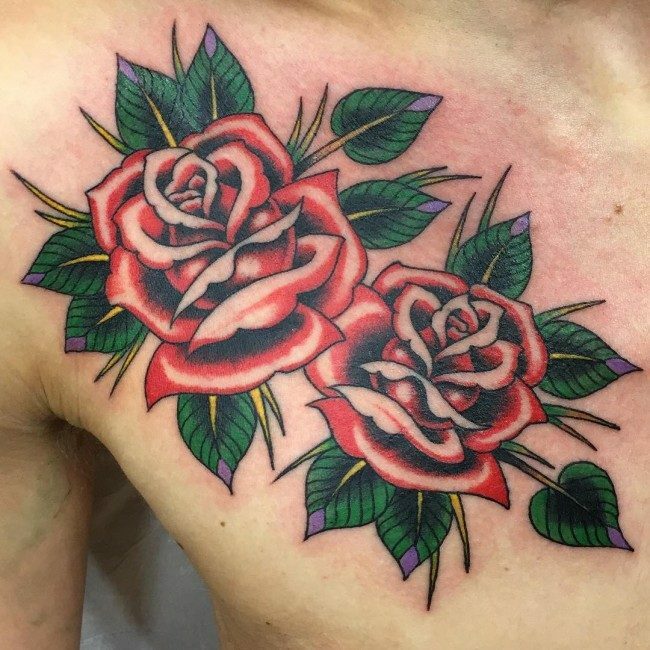 Though rose has been one of the most popular flowers in the history of the world, its usage in tattoo art caught attention only in the 1930s and 1940s, when it was first made popular bay sailors, who had these tattoos featured on their body parts. 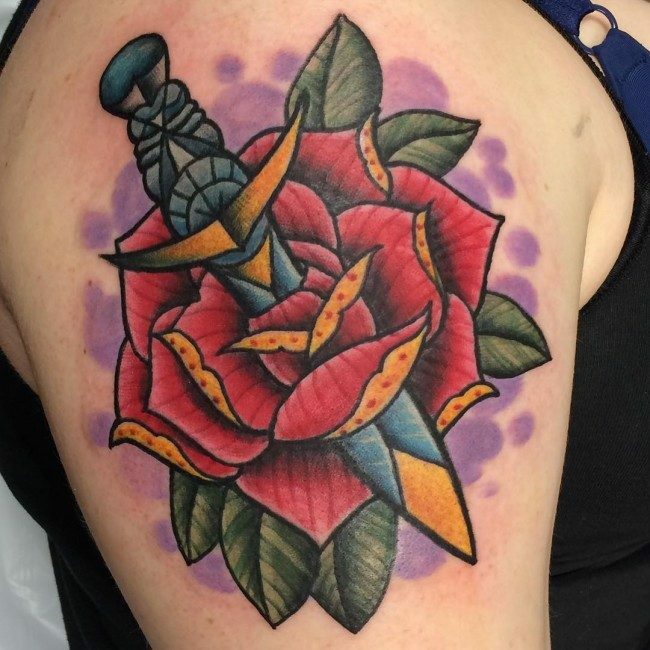 Since they were parted from their wives and beloveds for long periods on account of their voyages, these soldiers had rose design tattoos inscribed to honor these female figures in their lives. At the same time, these tattoos helped women bear the burden of staying away from their men folk for long periods of time. 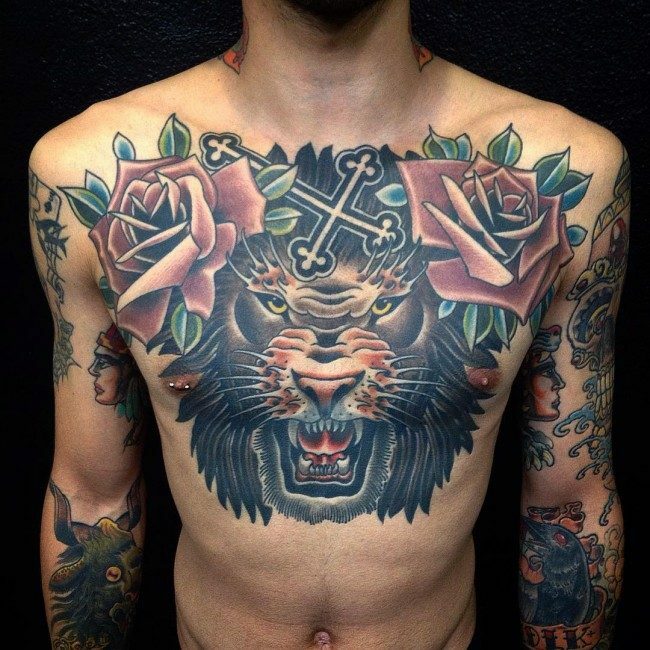 If you’re brave enough, you will love our collection of Lion tattoos. Rose flower has already been existing several years in the past. This is one of the most beautiful flowers in the world not only today, but also in the ancient times. 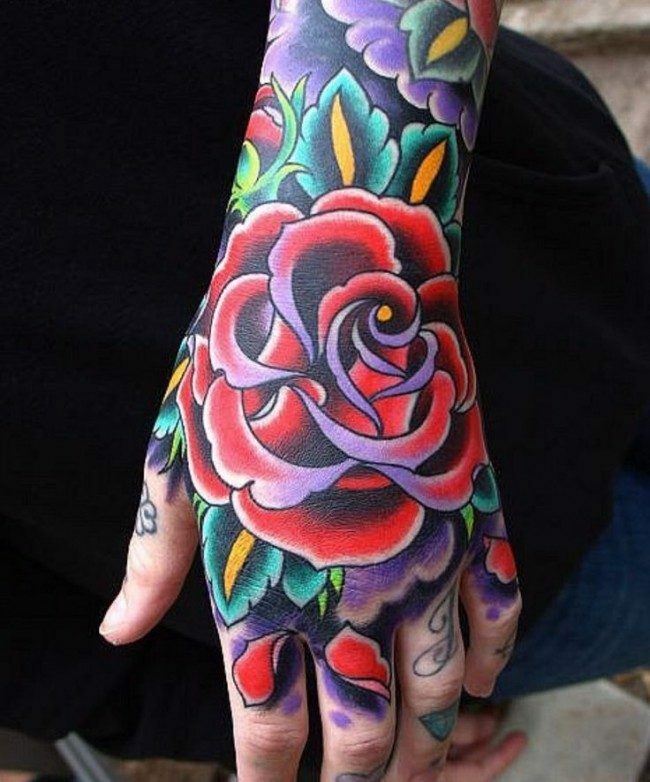 However, it was between in the 1930’s and 1940’s when rose flower tattoos were introduced to the public. 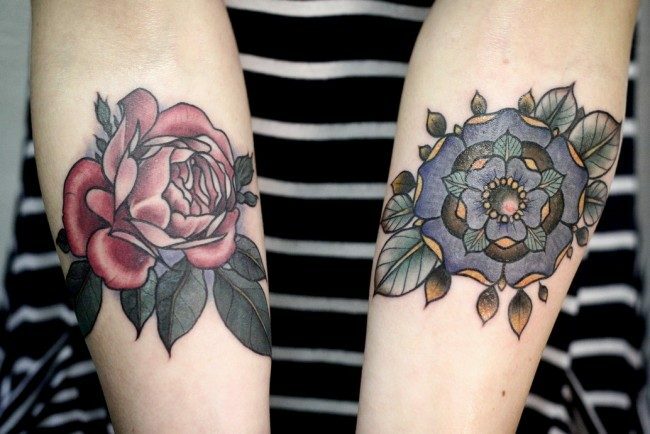 The very first people who wore these flower tattoos were great sailors in the wide seas in the world. The tattoos then became very popular as these sailors stopped in one island to another. The main purpose of these sailors in wearing these tattoos was in order to show how much they value and treasure their wives. Since they would be away from them, they thought that this was one great way to show their intense love to their life partners. Furthermore, these tattoos had greatly helped their wives to be reassured that they were the only women in the lives of their husbands. Thus, even the sailors and their wives were away from each other, they can still feel the love and strong connection that they had. Love – Even since the existence of nature, the rose flower is already known as a great symbol of love, specially its vibrant red petals. 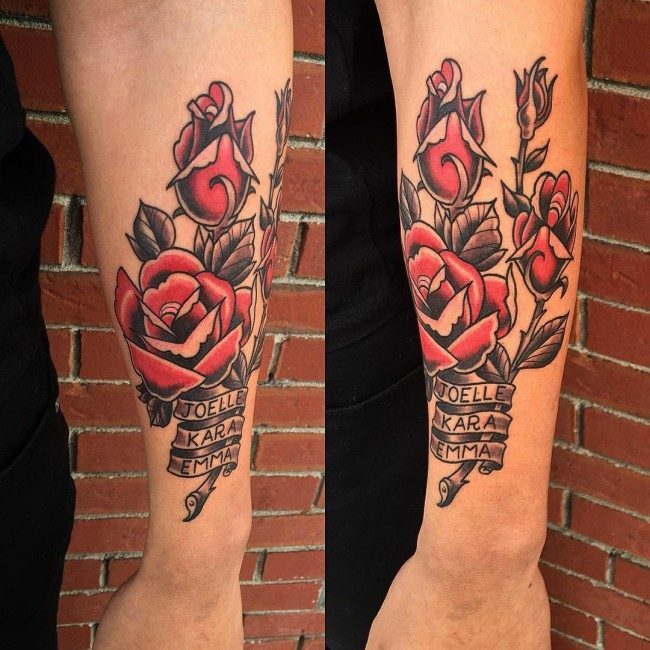 This is why when a tattoo is designed with a red rose petal, then it certainly means intense love by someone to something or another person. 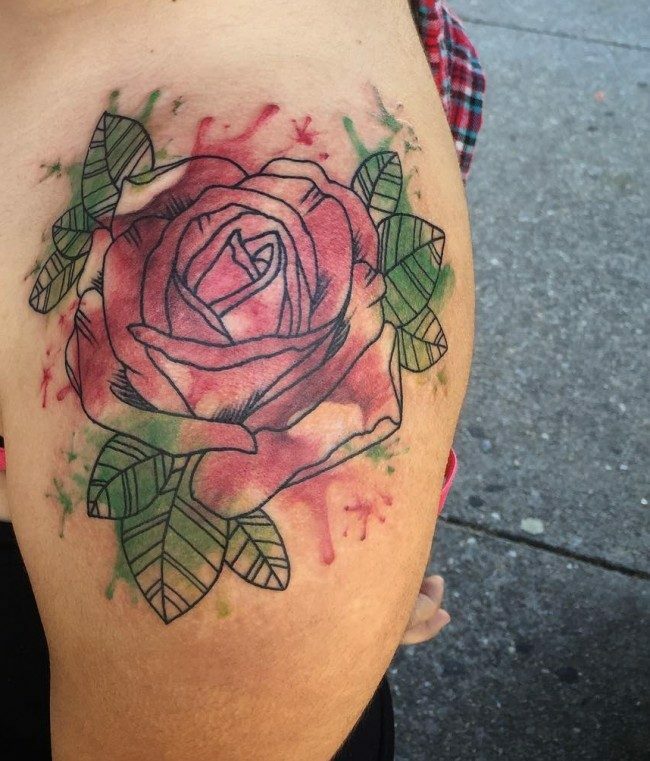 But if the rose petal tattoo comes with its stem and thorns, then the meaning would be a little different. It is still closely related to love, but the thorns actually tell you that love does not only come with happiness but sorrow and pain as well. According to the Greek Mythology, rose flower was associated to the Goddess of Love, whom was Aphrodite. Everytime, she was wounded and dropped some blood on a certain place, such place would be grown with beautiful red roses. 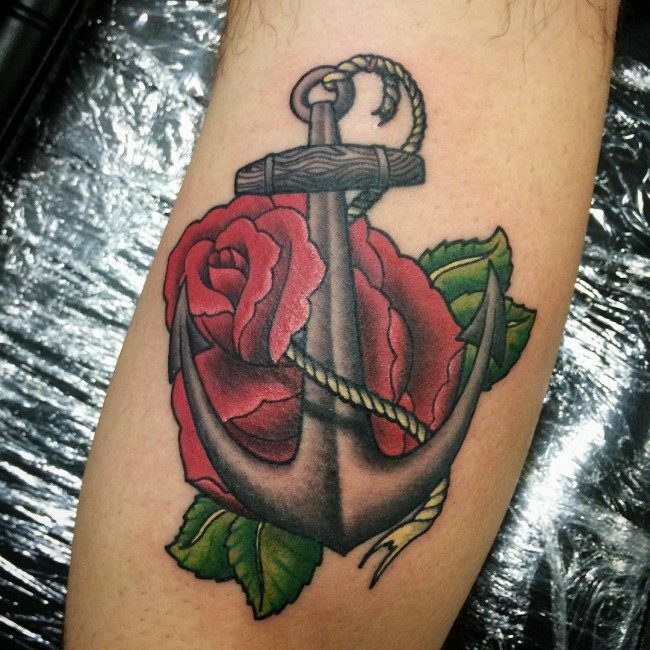 Christianity – For many individuals, specially those Christians out there, a rose is one great symbol of Christianity. Christian people have this strong belief that a rose flower has something to do with Virgin Mary. This is the main reason why rose is very popular flower in the said religion. As a matter of fact, you can always see a beautiful rose flower in most Christianity related activities or church activities. If such flower is not decorated all over the venue, people are surely bringing it with them. 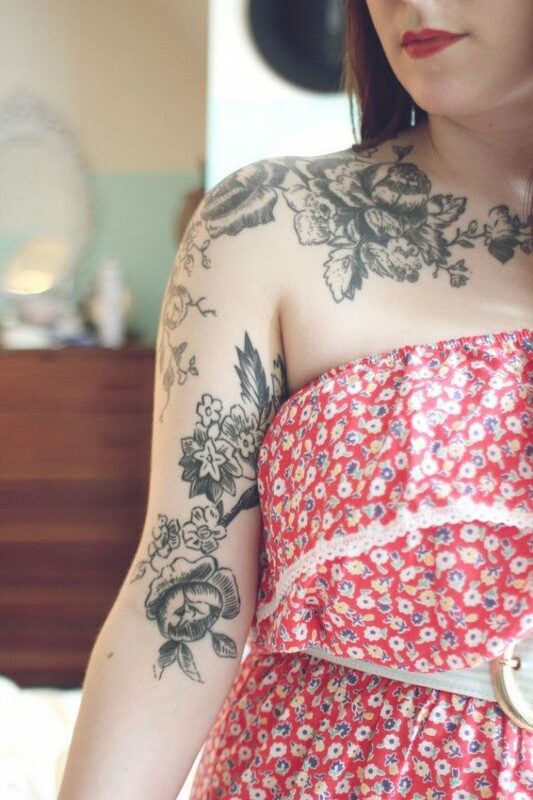 Femininity – These days, a rose flower is always associated with femininity, and this goes the same with these tattoos. It is a flower that is being associated to women. Well, one very apparent reason for this is the fact that a rose flower is very beautiful and mesmerizing just like the beauty of a gorgeous woman. Masculinity – Yes, you read it right. 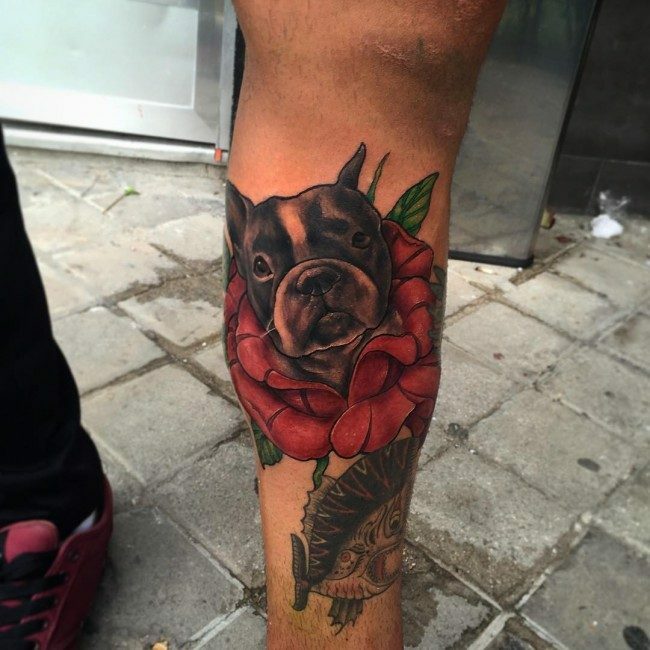 A rose flower also symbolizes masculinity. 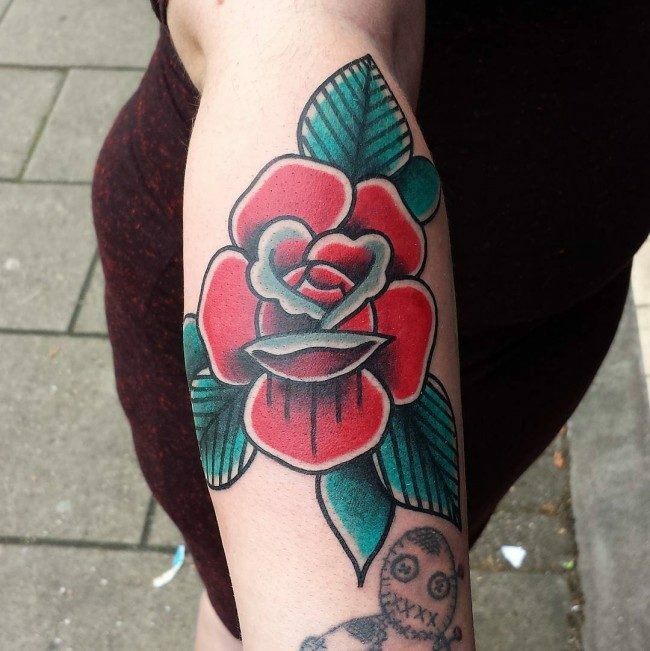 Even so, this thing is less observed now since people in today’s generation believe that a rose flower is signifying a beautiful woman. 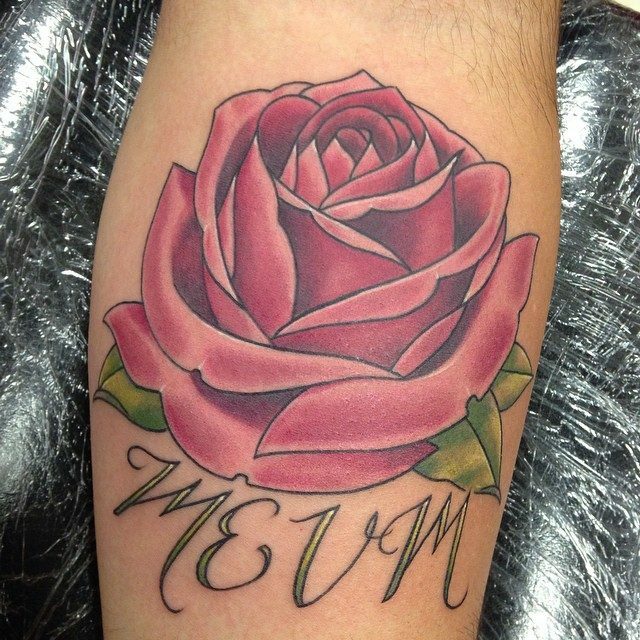 Do you know that a rose design was widely worn by a lot of men in the ancient Persia? Ancient people in Persia automatically thought that such flower symbolized a strong man the moment they firstly saw it in their place grown in a bush. 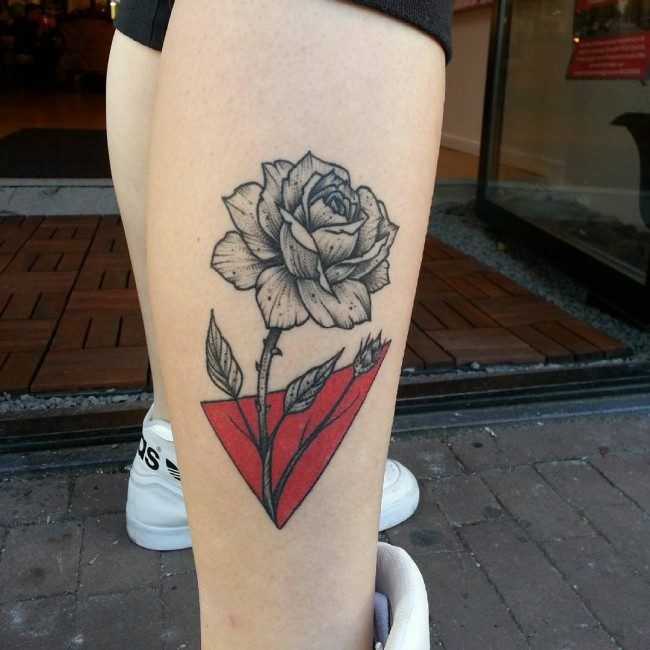 Friendship – A rose is definitely not only a symbol of love and passion, of course. People who are friends for a very long time already also see it as a great symbol of friendship. Even so, instead of the typical red rose, the one that denotes strong friendship is the yellow rose. 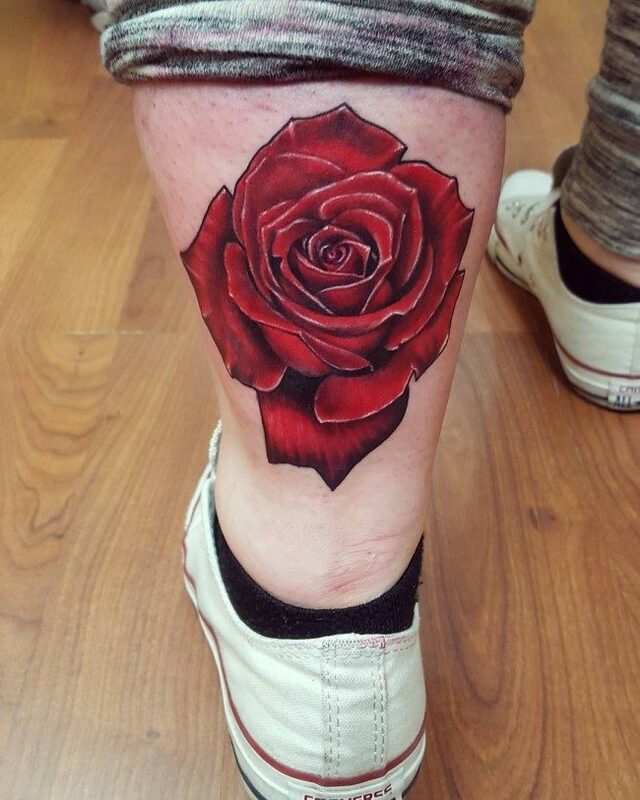 Rose tattoos have passed various stages of involvement to reach the stage it is one today. 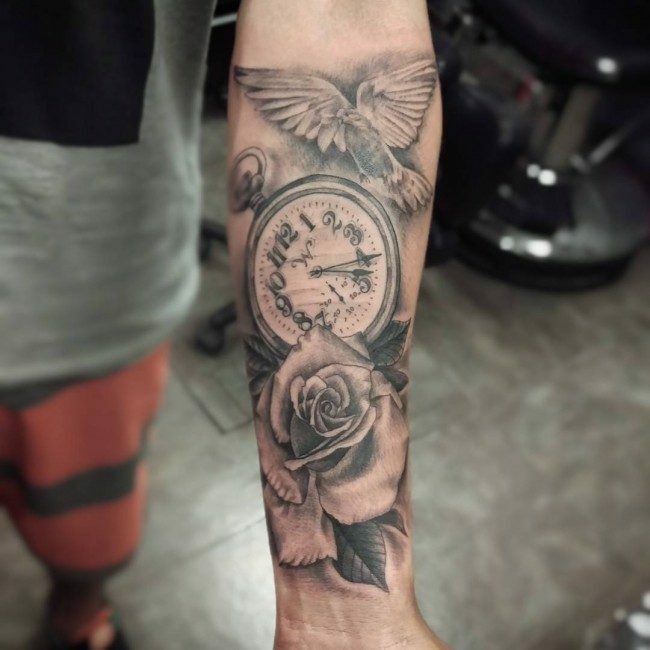 These popular tattoo designs have become hot favorites among men and women and they can commonly be seen inscribed on the chest, arm, neck, finger, back, hip, ankle, wrist, leg, shoulder, thigh and side of men and women. 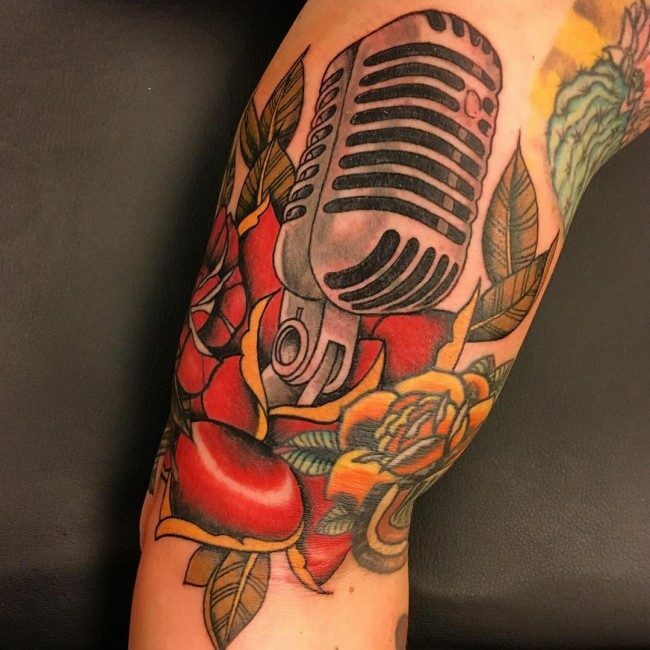 While women prefer feminine designs like a single rose with all its natural beauty, men like something more masculine such as guns and roses and roses featured along with its thorns. 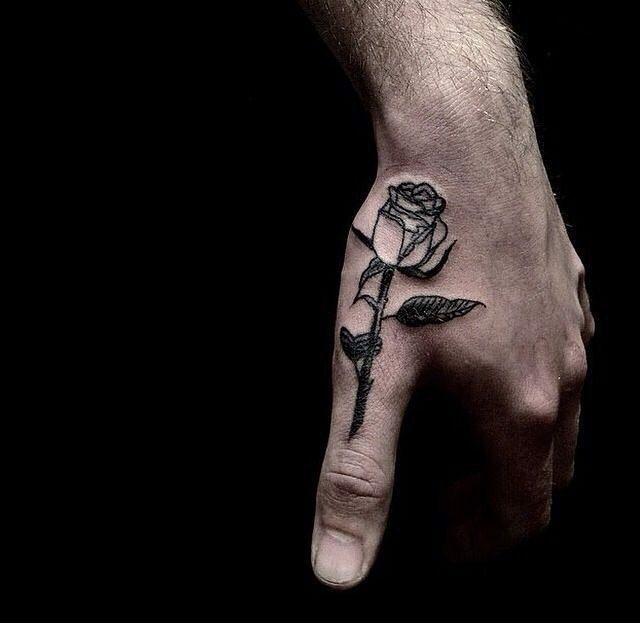 The fact lies that choosing a tattoo design is a matter of personal choice, though one must have a look into the deeper symbolic meaning of a rose design before having it etched on one’s body. 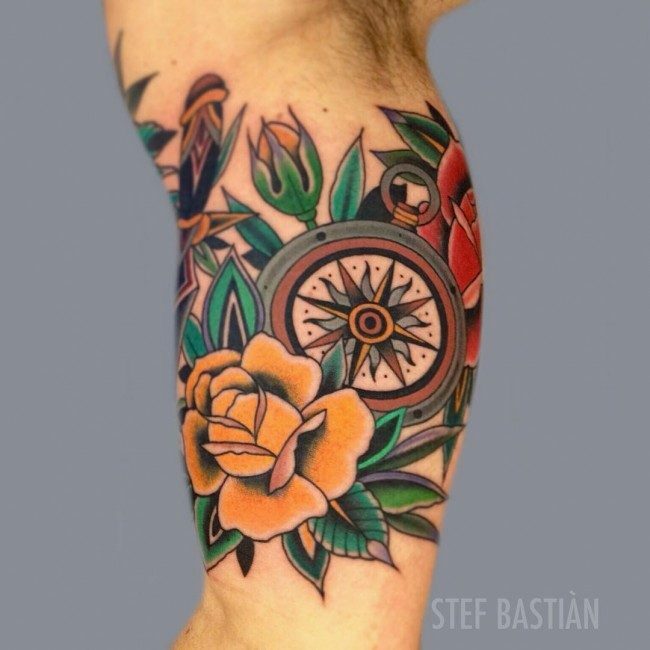 Aspects like choosing a color and appearance make an important part of deciding the tattoo design you want for yourself. 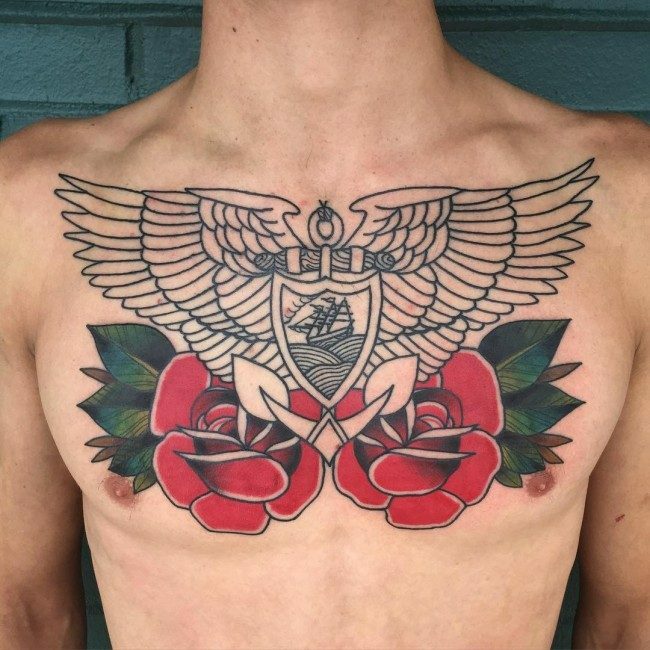 Tattoos, being a personal style statement, should reflect what you truly are, which is why you must choose a design and placement with your own discretion, rather than by imitating someone. Jessica Alba – Jessica Alba is a 35-year-old gorgeous American actress who have starred in various top grossing films and television series. 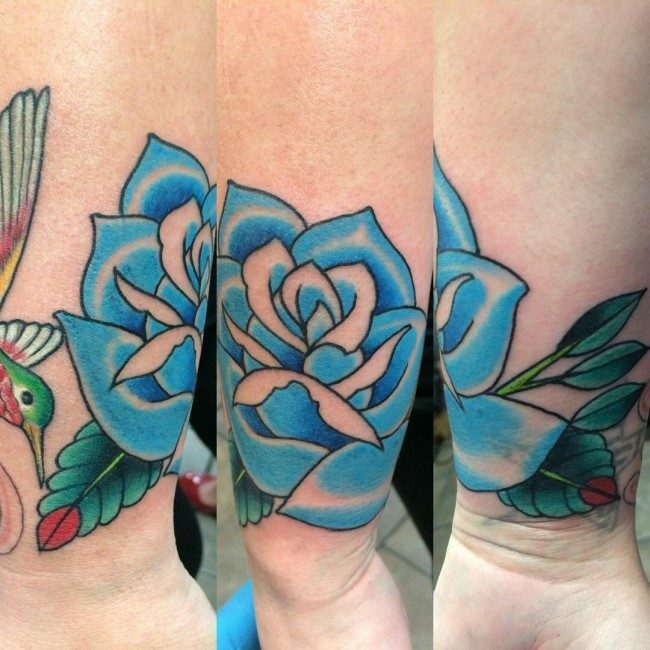 One interesting thing that Jessica has is her rose design located on her left bicep. Ben Affleck – Another very famous actor that appreciates the beauty of a rose design is a 43-year-old Ben Affleck. 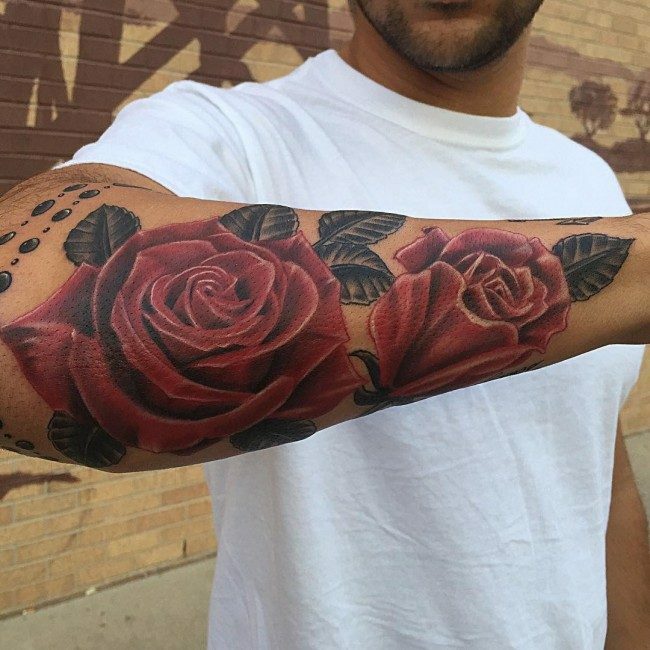 He has several roses tattooed on his right bicep. Jenny McCarthy – Aside from being an actress, Jenny McCarthy is also a famous model, anti-vaccine activist, screenwriter, author, and television. Even she’s now 43 years of age, she still look very gorgeous rose located on her right foot. Sylvester Stallone – Sylvester Stallone is a legend when it comes to acting. Despite his very masculine appearance, his undying love to his 3 daughters can never be concealed. 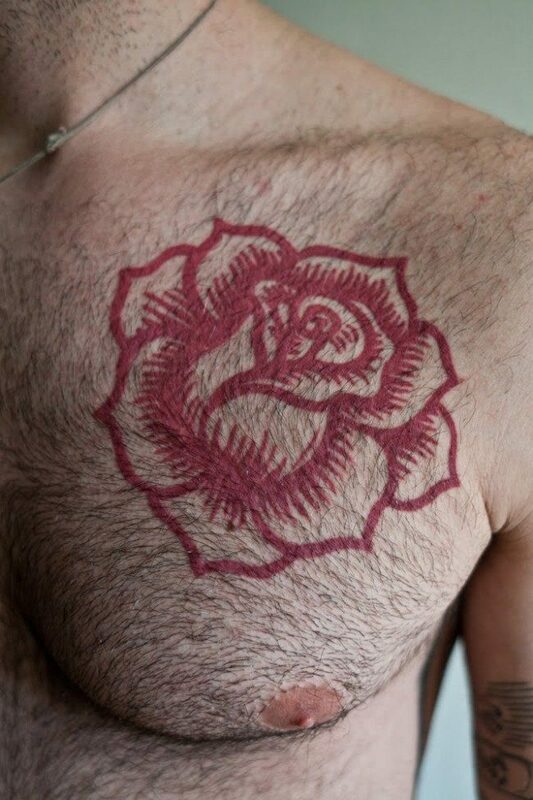 In fact, he has 3 rose engraved on his shoulders that represent her three daughters. They are popular among both the sexes, though they are ideally loved by women as they stand for beauty and femininity. 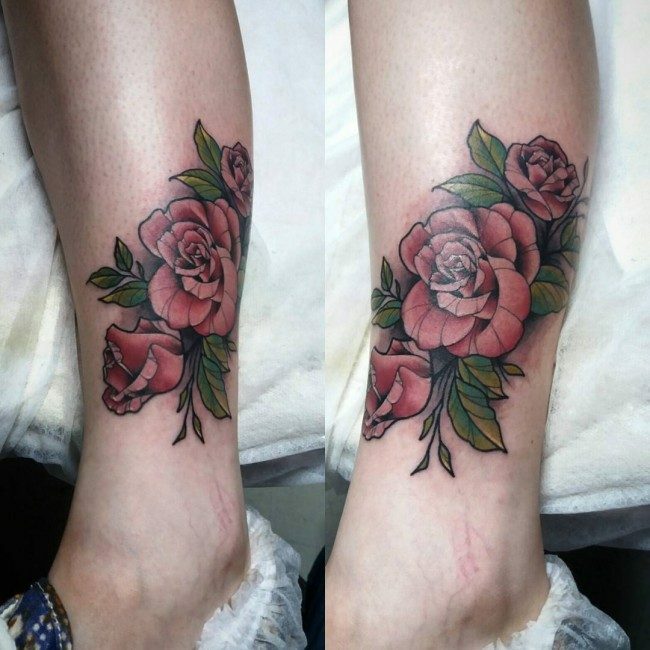 Many attractive designs and patterns have been seen in rose which make the top choice among tattoo lovers around the world. 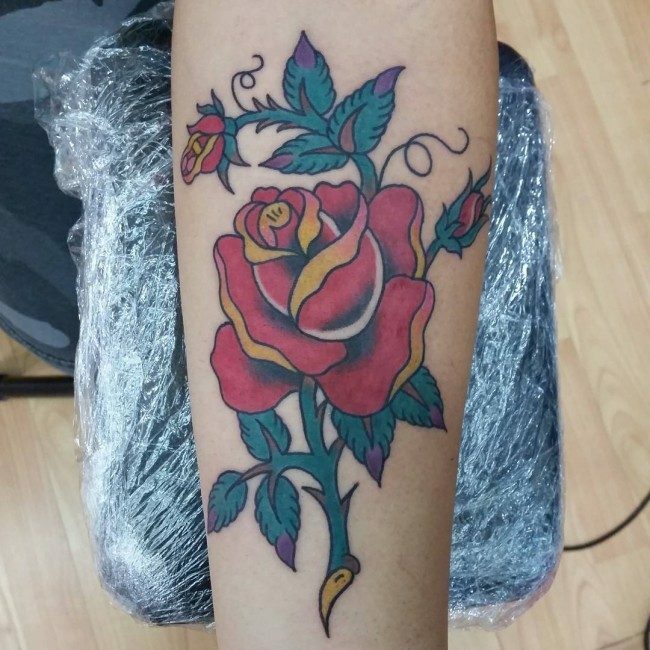 Tribal Designs – Another well liked option among the rose designs is rose tribal tattoo, which features roses in linear and long design, and is suited both for men and women. 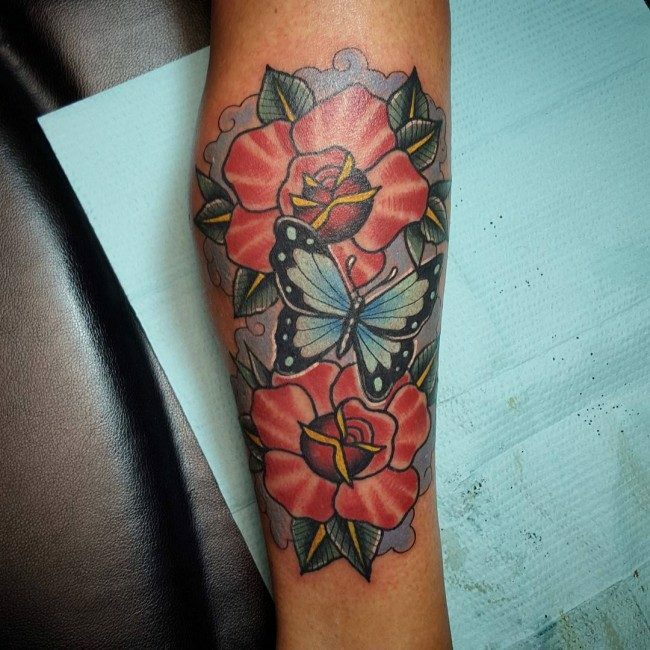 Such designs usually feature roses in black color and look quite stylish and attractive. 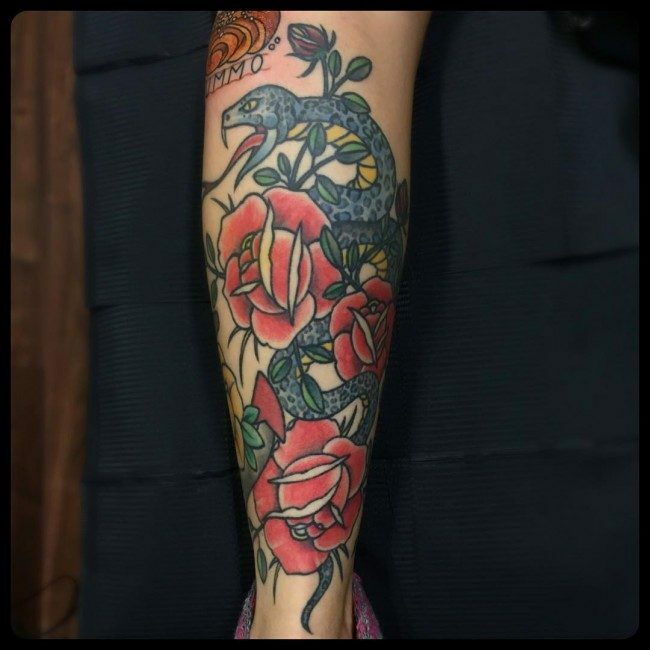 Black Rose Designs – Something which is not quite common but has a unique aesthetic appeal as far as rose designs are concerned is the black rose design. 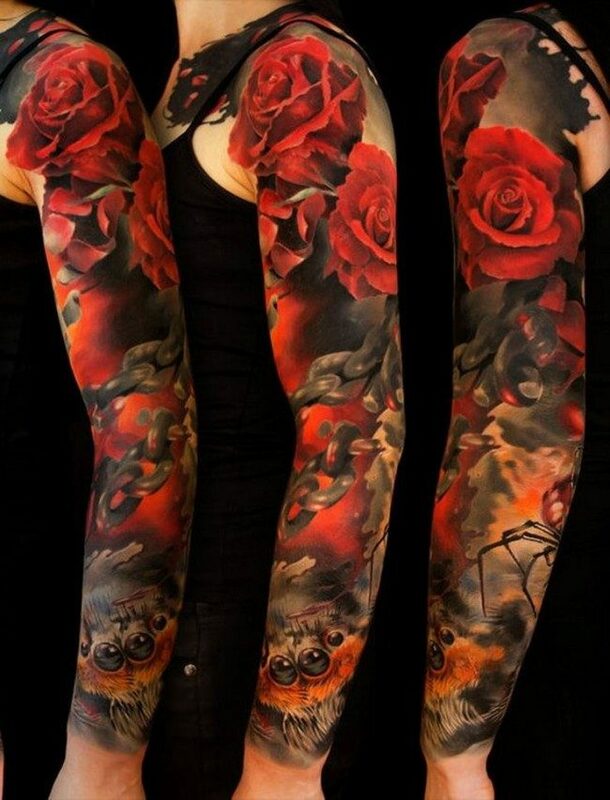 This Gothic design is a unique combination of passion and sadness, as it blends the romantic side of the red rose with the deathly side of the black one. 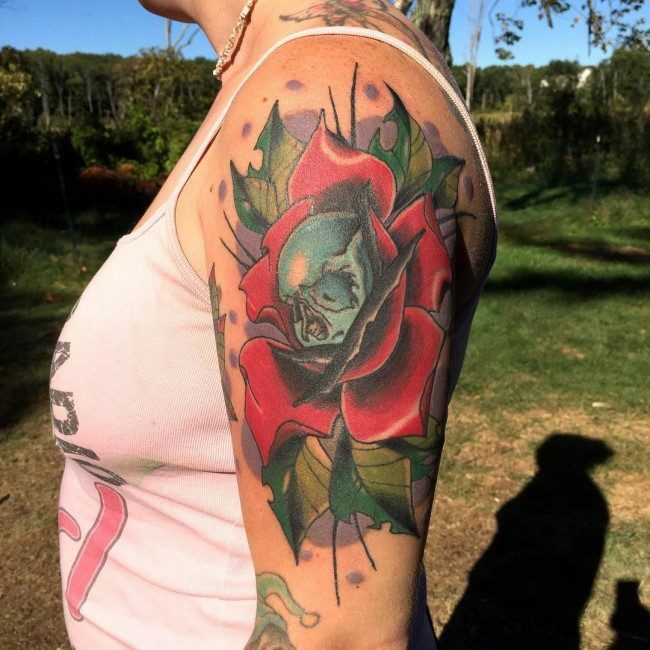 Additional Elements – Many different rose designs have been created by incorporating an additional element, which add an appeal as well as a meaning to the tattoo. 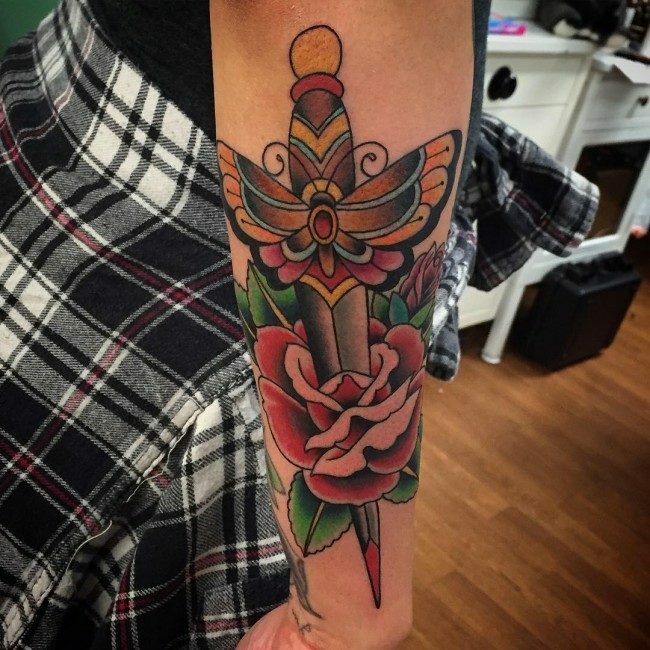 Many of the popular options in this regard are a butterfly, a dagger, a cross, a skull and a barbed wire wrapped around a rose or its vine. 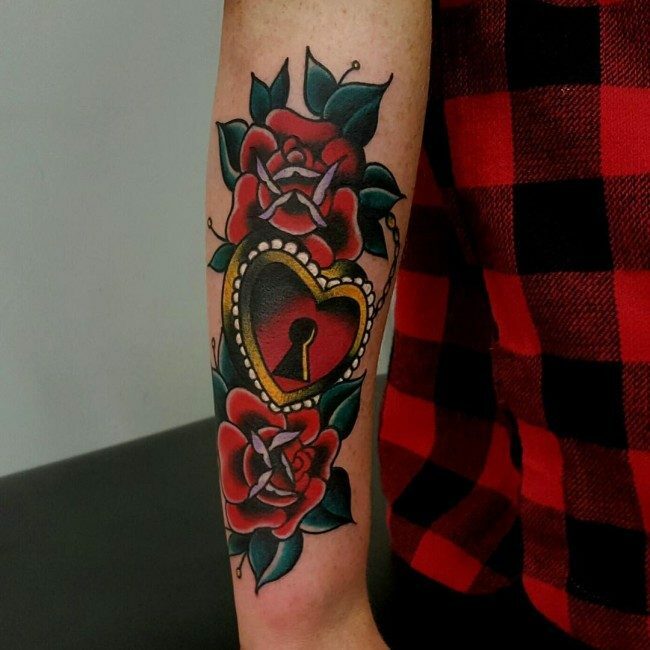 Another popular way in which roses are depicted as tattoos is rose with heart, which stands for love, while a diamond added to a rose stands as a symbol of prosperity. 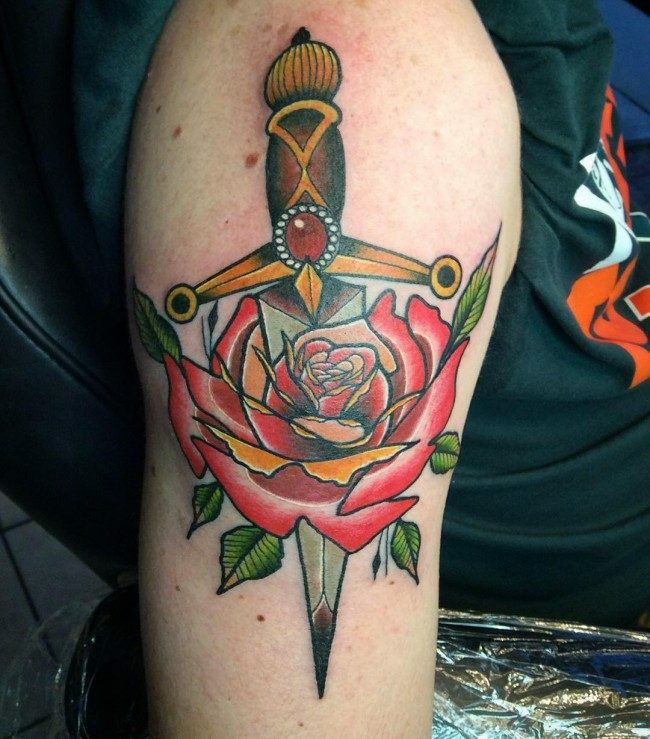 Some designs have shown roses as buds, others have pictured them in full bloom and yet others show them with thorns. 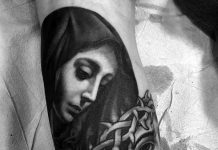 They have been added with religious symbols to make them religiously significant. All the variation and diversity have been used to reflect a deeper meaning and mirror the personal choice as well as the mood of the bearer. 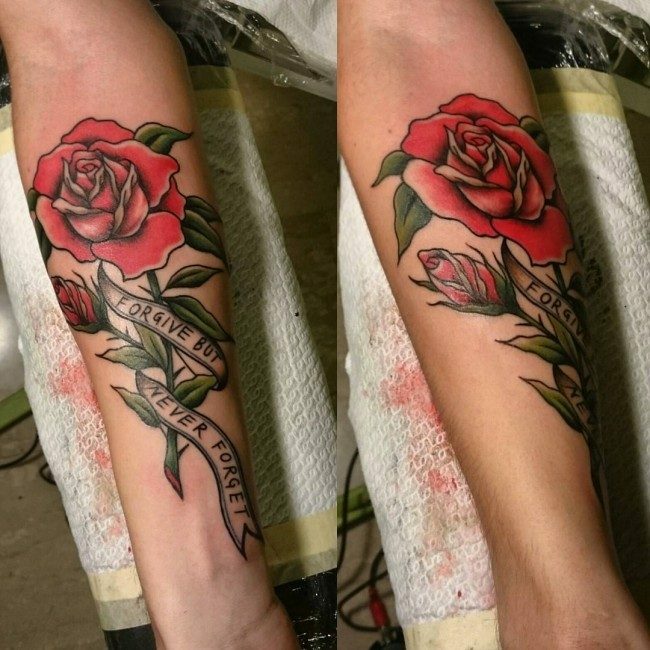 Rose Music Hip Tattoo Design – A lot of songwriters have been incorporating the beauty of a rose flower to the lyrics of the songs that they are composing. 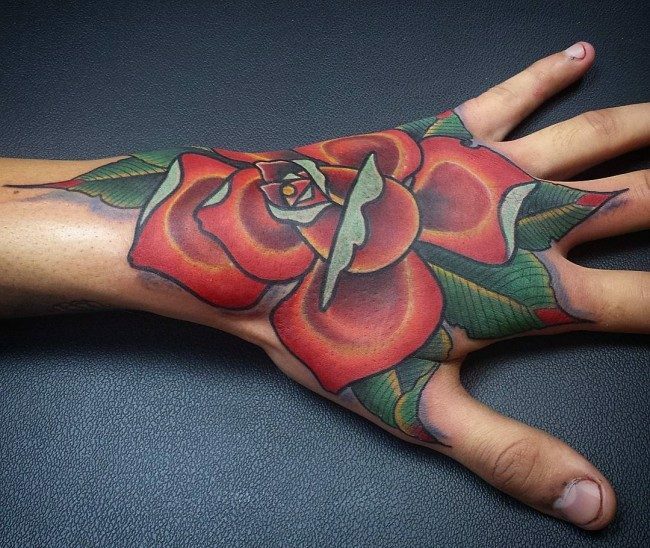 With that being said, it is no longer surprising why many people are also incorporating roses to their body tattoos. 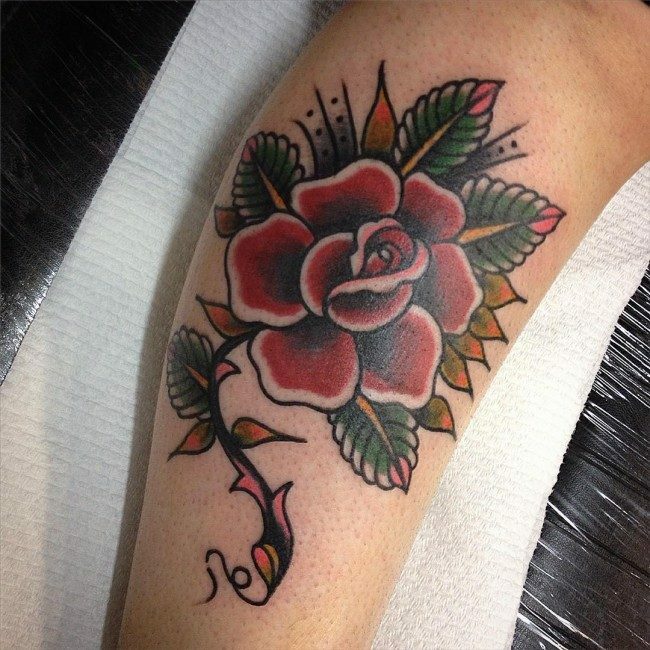 Rose music hip tattoo design is a very popular rose design chosen by a number of music lovers in the entire world. 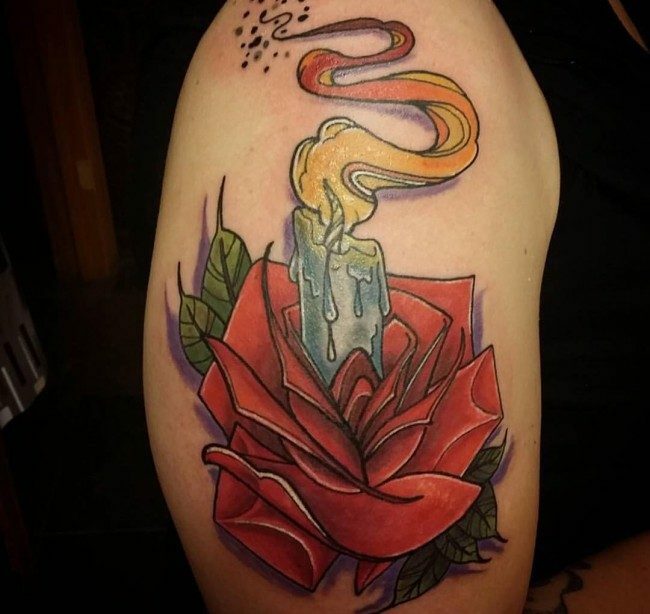 The design majorly involves rose petals and song notes and some other music symbols. 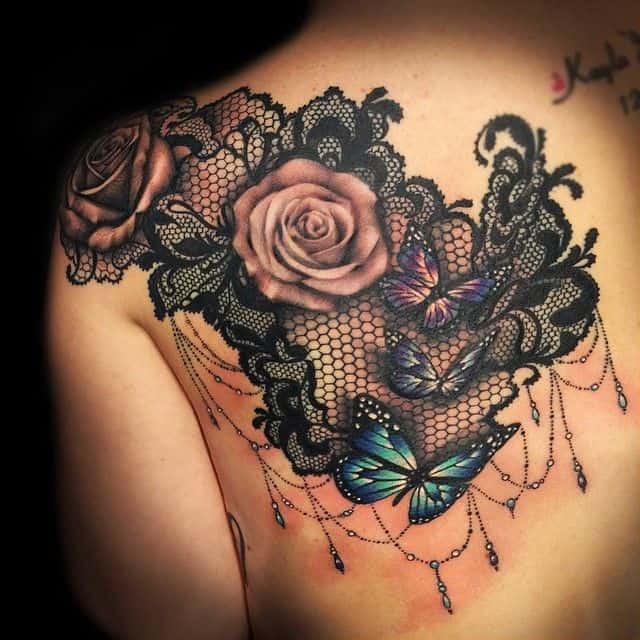 Back Roses Design – Back roses design is very popular to a lot of women. A woman’s back is definitely one of the most beautiful body areas that she can have. 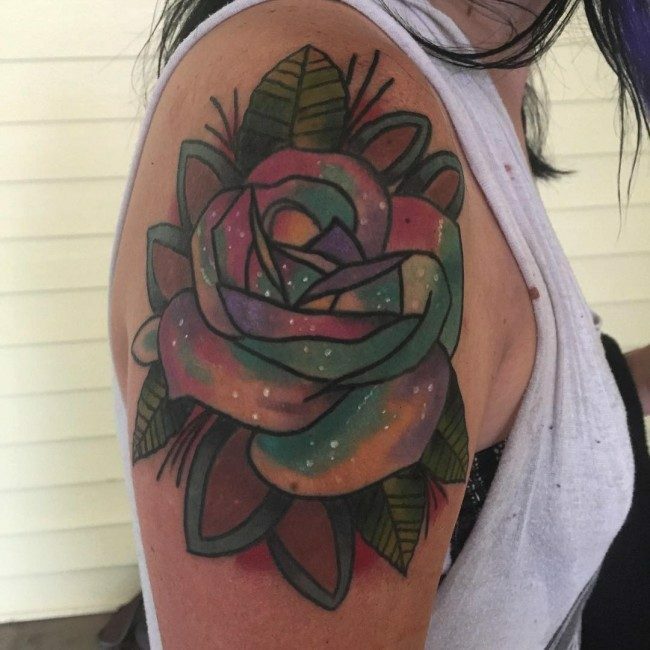 Thus, it is just right for her to emphasize its mesmerizing beauty, and beautiful bigger size rose flower tattoos can surely do the thing here. 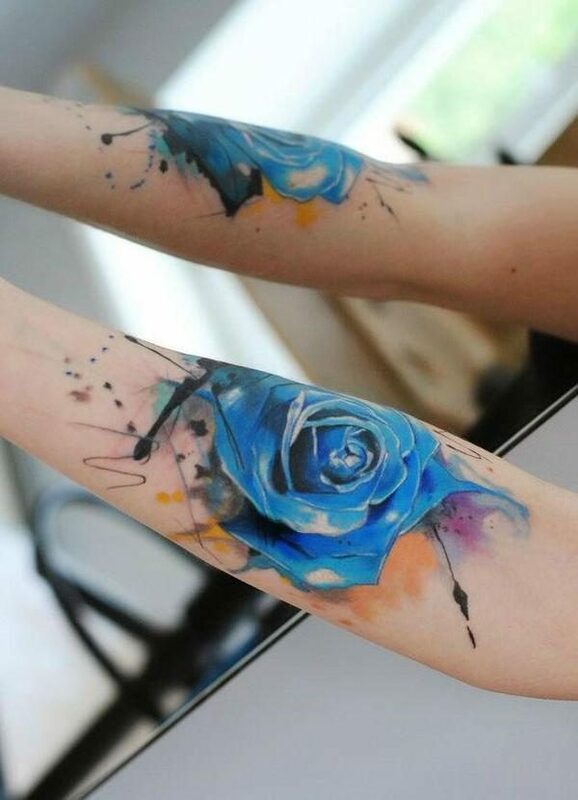 Of course, the design should be made up of several rose petals that are connected to one another in order to create the illusion of alive roses. 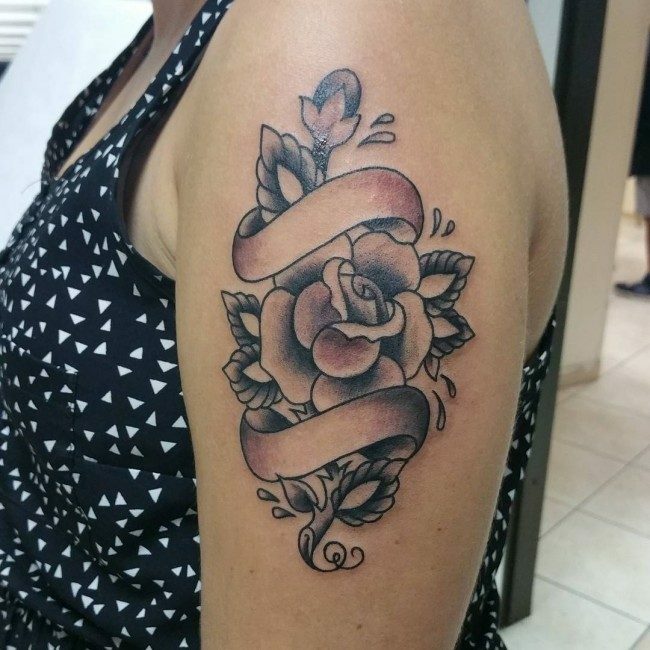 Shoulder Rose Design – Even though a shoulder rose design is very popular amongst men, this does not mean that women can no longer have this design. As a matter of fact, a shoulder rose design is a perfect one when you want to emphasize the beauty of your shoulders. 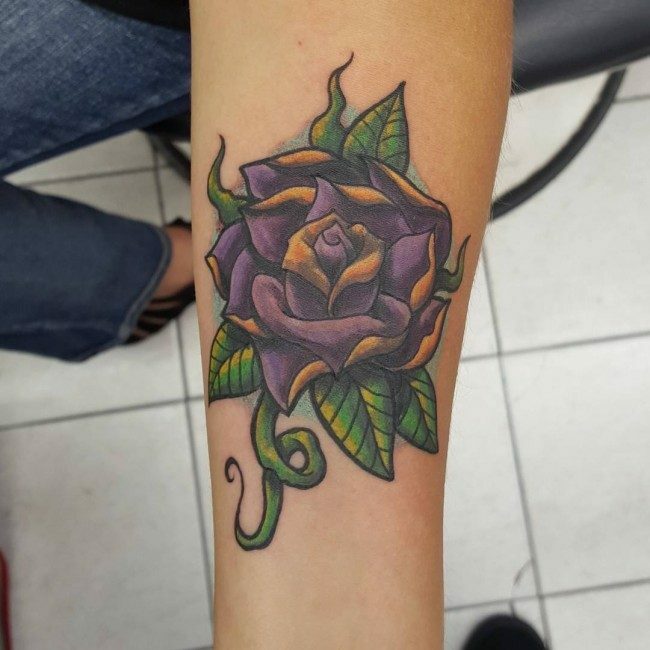 This design usually involves a bigger size of a rose petal that is associated with some other design elements like lines and shapes. 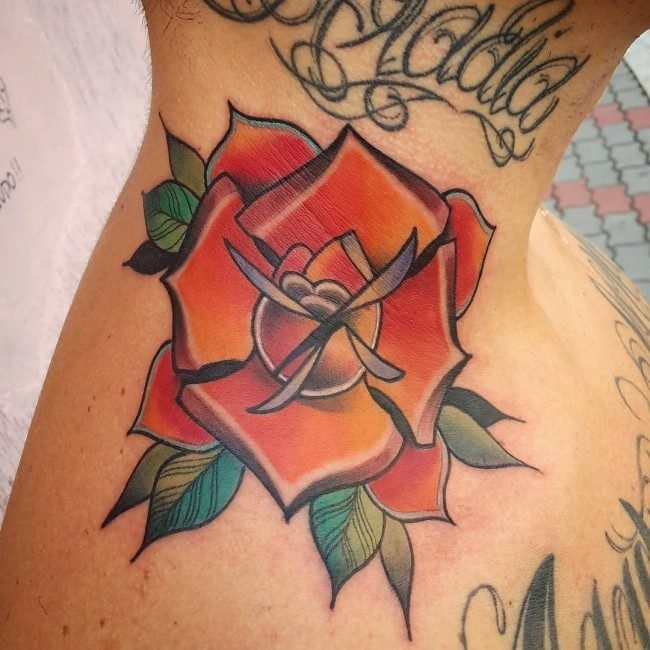 Thorn Back Design – While there are a lot of people who prefer having the rose petal alone on their tattoos, it is still an undeniable fact that adding some more sub designs to your rose would be a perfect way to enhance its appearance, specially if you want to engrave the tattoo on your back. Thorn back design is absolutely perfect. 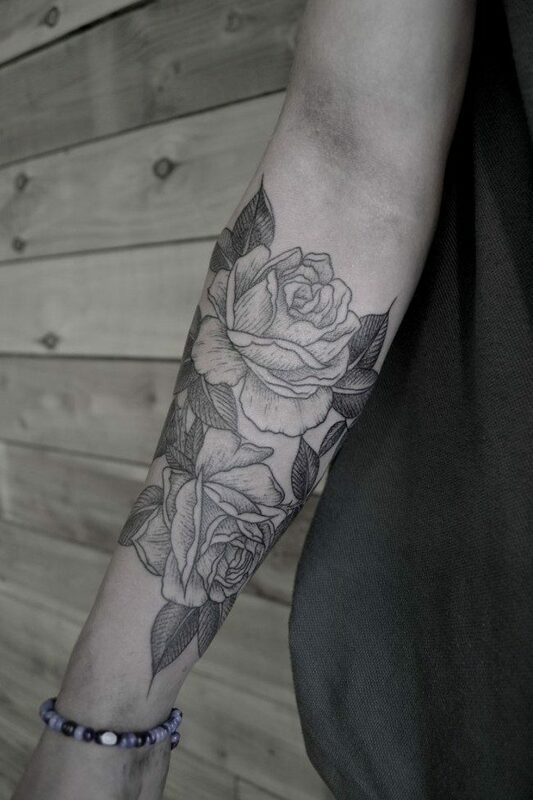 The thorns of the roses can make the tattoo more dramatic, as far as appearance is concerned. 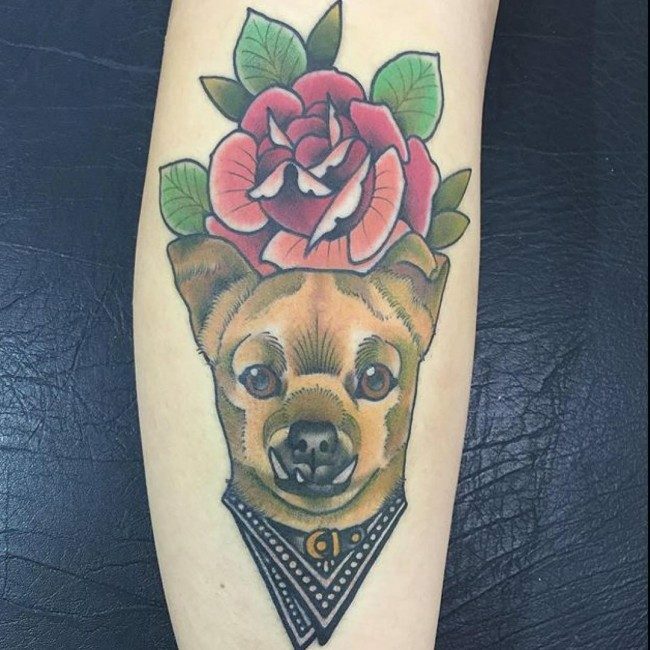 But if you don’t want to add a bit of sadness and sorrow to the tattoo, adding some thorns to the entire design is no longer necessary. 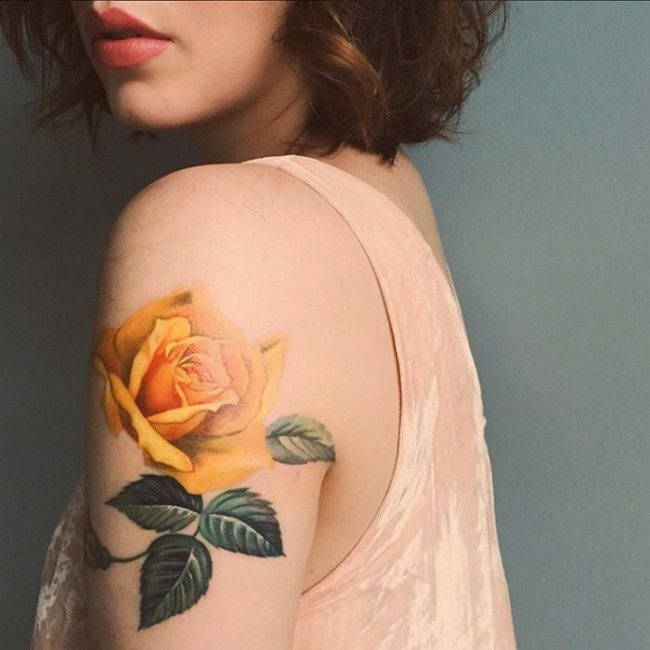 Rose tattoos are definitely beautiful adornments on someone’s body. These have a wide range of gorgeous designs that will surely fit you like the back rose design and thorn back design. 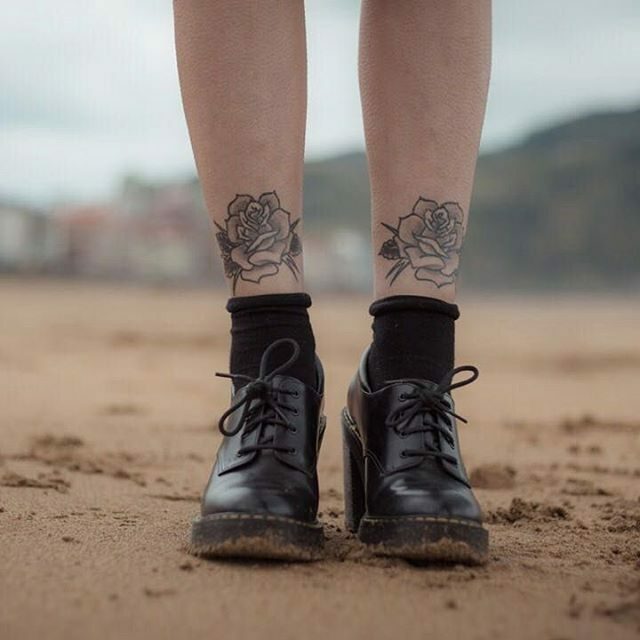 Aside from their display purposes, these tattoos are also worn by many people to express themselves to others.